Ensuring that we’ll have to spend yet another year laboriously typing out every damn period in Marvel’s Agents Of S.H.I.E.L.D. whenever the topic of still-extant superhero shows comes up, ABC announced today that it’s already ordered up a seventh season of the long-running MCU spin-off series, before its sixth has even had a chance to premiere. The news comes at a weird time for Marvel and Disney’s superheroic offerings, as the studio seemed determined to slowly winnow away its Netflix stable of shows, presumably in advance of the launch of its own streaming service, Disney+. It’s been unclear where Agents Of You-Know fell in those grander plans; the series airs on Disney-owned ABC, so there’s none of that inter-service competition that was presumably at least partially fueling the deaths of Iron Fist and Luke Cage. Meanwhile, the show remains popular even though it’s largely divorced itself from the Marvel Cinematic Universe it was originally designed to work alongside. Despite aggressively ditching out on dealing with the consequences of this summer’s big, game-changing Infinity War, the series has been suggested to be one of the most influential on television, rivaling series like Better Call Saul or the unkillable Criminal Minds, at least according to certain metrics. 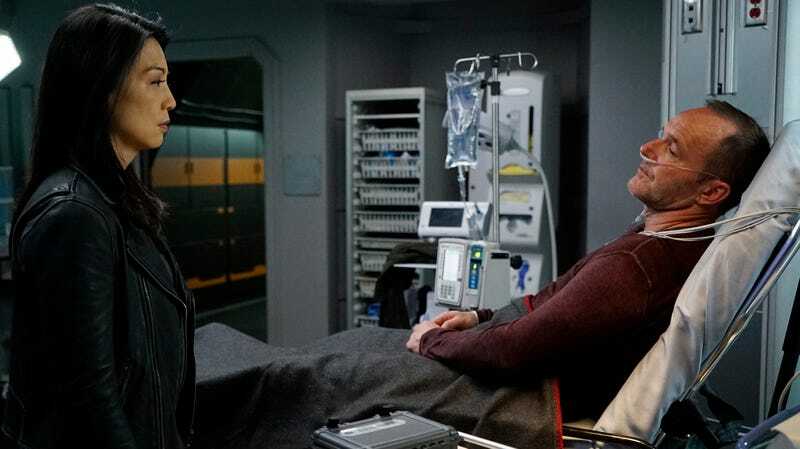 ABC seems convinced, in any case; Daisy Johnson will ride again, although Variety notes that the seventh-season renewal notice pointedly does not mention Clark Gregg, so Phil Coulson fans might want to prepare themselves for yet another ostensibly motivating character death when Agents Of A.C.R.O.N.Y.M. returns for its sixth season in July 2019.